Check out all the leathery old folks out there! Now, how do you suppose they got this way? Could it have been caused by the powerful glow of the moon? I don’t think so. These folks are most likely sun bunnies. Those Caucasians who crave darker skin. Are you destined to be a leathery old man or woman as well? Hey, if you sun bathe on a daily basis, I’m thinking you are. It’s inevitable. The harmful UV rays from the sun will darken your skin and weather it like it’s no joke. We’ve known this for years now. That’s why new-age methods of tanning have come about. Not tanning beds! Those are worse than the real sun. I was thinking more along the lines of an airbrush tan. This is the glow of the future. Exercise trends come and go. From exercise ball exercises, to recumbent bicycling, to power walking, to cross country ski simulators, our society has had a rich variety of useful and not so useful exercises. One of the most underrated, yet useful exercise trends, however, is the exercise hula hoop. Exercise hula hoops are great for weight loss, fitness, building mobility and flexibility, and a wide variety of other skills. They even help you to build coordination. Best of all, hula hoop exercises can be done anywhere. A hula hoop exercise requires very little space. You do not even need to be able to move around. You can simply stand in place, wiggle your hips, and there you go. You are hula hooping. Over the years, the Atkins plan has become synonymous with weight loss. 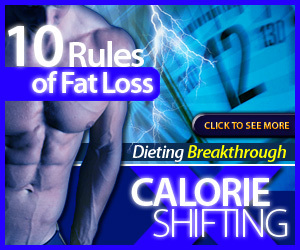 Fans of the program say that it has proven to be instrumental in helping them to shed unwanted pounds. They talk of improved overall health and greater energy as a result of the Atkins program. However, critics maintain that Atkins could lead to heart damage, making it an unhealthy diet. Supporters of Atkins say just about anyone can slim down using their program. However, there are certain people that are most likely to benefit from the Atkins plan. These include yo-yo dieters, who find themselves losing weight, only to gain it back again; dieters who feel constantly hungry; and those who eat for emotional reasons. Binge eaters and constant snackers can also benefit from the Atkins program. In addition, those who suffer from a food addiction are prime candidates for Atkins.